With her imminent EP, Giants, Capelle probes her private encounters with self-identity, depression, anxiety, relationships, and internal and external constraints. Encompassing five tracks, Giants opens with "Out Of Love," a pop-rock tune with dark textures and potent rhythmic pulses from the bassline and drums. Creamy with opaque colors, the melody undulates with thick flowing dynamism. Capelle's voice, plush and luscious, imbues the tune with elegant yet powerful tones and delectable sonority. "Docs" opens with tight, punk-flavored guitars atop a pop-rock melody shimmering with skintight energy. I love the melodic bridge leading to the gloriously resonant hook, like a wall of coruscating sound energized by brawny percussion. "Walking With Giants" reflects buff bluesy flavors riding an alt rock tune. Lustrous vocal harmonies infuse the tune with depth and dimension. "Better Off" starts off with a tender, gentle guitar and Capelle's velvety tones. Delicious vocal harmonies bathe the song in elegant pigments. This is a beautifully poignant song.The last track, "Settle Down," opens with delicate harmonics swelling with gossamer textures. Capelle's voice attains honeyed allure, streaming with scintillating hues. When the tune ramps up, the surge of sonic energy is scrumptious and muscular. Capelle describes "Settle Down," saying, "If anything, 'Settle' is a letter to myself - a reminder that things WILL get better in time." Giants is a giant EP, full of aesthetic grace and captivating harmonic textures, while Leah Capelle's voice provides the yummy icing on the musical cake. In many ways, “driving in the rain” perfectly describes Leah Capelle: there are thunderclaps of excitement in every track, but the EP is also saturated with a familiar-feeling folksiness that, much like walls to hold back a torrential downpour, wraps up the listener in comforting warmth. 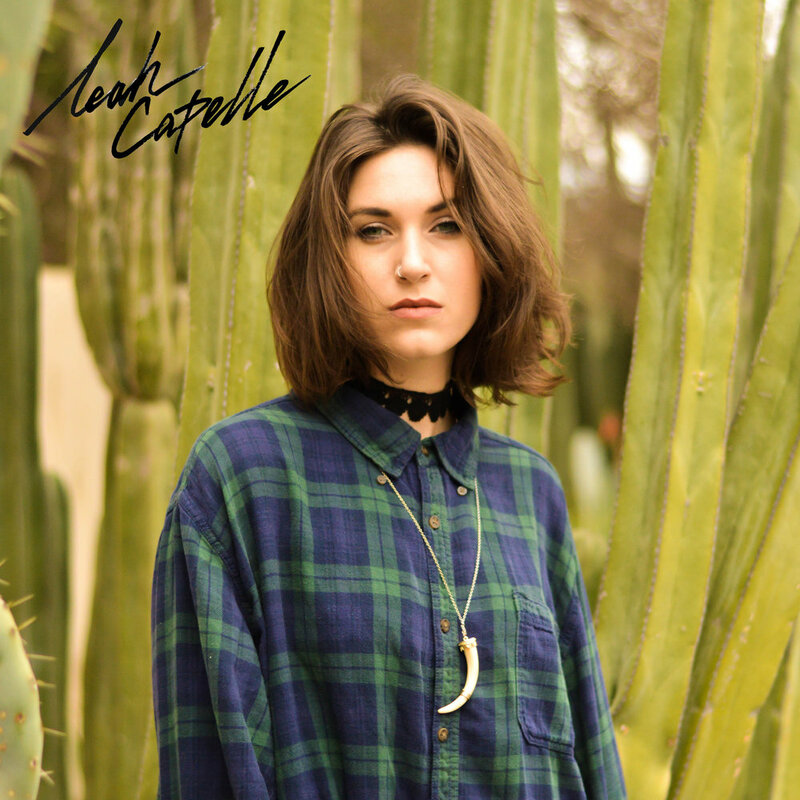 Leah Capelle manages to form its own identity by throwing a few pinches of pop-flavored seasoning into its musical gumbo. But the magic of Leah Capelle is in the little details. In the first track, “Would You Know,” whenever the vocals go, “Would you know what I’m here for,” or “Would you know what I left for,” the vocal melody is parroted by acoustic guitar. It’s a small touch, but it caps off each line like an unusually beefy period at the end of a musical sentence, and maintains melodic movement in the momentary absence of vocals. Every track is rife with similar small touches that, overall, strengthen the impact of the album. Every song feels lovingly constructed.